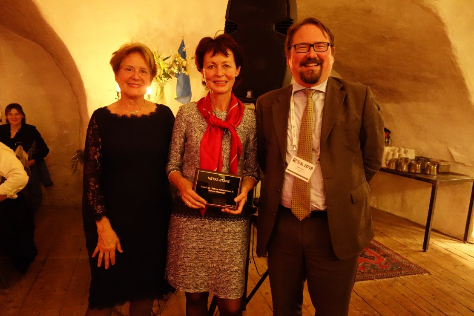 Dr. Metka Stare, Research professor at the Centre of International Relations, received a Lifetime achievement award in service research at the 28th International RESER (European Association for REsearch on SERvices) Conference in Gothenburg, Sweden. At the event, she gave a keynote address titled ‘Reflections on some challenges in service research and beyond’ and presented a paper titled ‘Knowledge intensive business services in GVCs and interrelations with the innovation capability’. The conference was organised by the University of Gothenburg and Chalmers University of Technology between 20 and 22 September 2018.